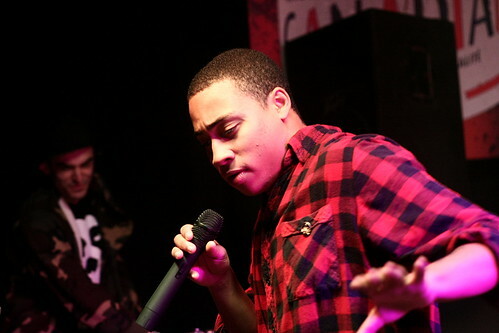 Cadence Weapon has released a new mixtape, titled Tron Legacy: The Mixtape. It’s actually not about Tron at all, save for bits of the first song, just about awesome tunes. Download it for free! Mr. Weapon also spent some time at Waterton Lakes National Park as part of the National Parks Project to promote Canada’s lovely protected areas and Parks Canada’s 100th anniversary.Stereogum have released their list of the most anticipated releases of 2011, and it includes upcoming albums from Fiona Apple, Beastie Boys, The Cars, Dr. Dre (really? ), PJ Harvey, Radiohead and the Strokes. Yukon Blonde have announced a whole slew of tour dates, with stops all across this fine country of ours. Sub Pop VP Andy Kotowicz died in a car accident last month, and the record label is raising funds for his family, including his young daughter. You can bid on auction items that include a Dead Weather triple decker record and a rare Bon Iver pressing. There will also be two benefit shows held — one in Seattle and one in Ypsilanti, Michigan, Kotowicz’s hometown. The National released an extended version of the excellent High Violet this week, and you can hear a new track from that release right here at Spin. PS I Love You are releasing their Starfield 7″ on December 7, but the title track is ﻿available for free﻿ until the 2nd. When you download the song, you’ll be entered in a draw to win a PS I Love You shirt, poster and record bag designed by drummer Benjamin Nelson. The Beatles are now available on iTunes. Finally, the world can hear their music!